Katie Millonzi, the Director of Animal Care Operations, spent the past 5 years working at PAWS Chicago. Katie started as an intern at PAWS Chicago and knew instantly the shelter world was for her. Her love for animals, her passion for saving lives, her drive to be the voice for those that do not have one are what inspire her to work in this industry. 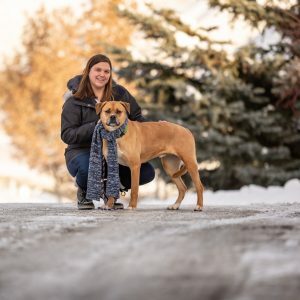 During her time at PAWS Chicago, she has worked in multiple departments and has had various roles giving her the well-rounded experience she needs to be successful at Mountain Humane. Born and raised in Michigan, Katie is excited to be able to get back to an outdoor lifestyle surrounded by the beautiful mountain scenery. Her husband and 2 dogs (Island & Peanut) are excited to start their new life here in Idaho.